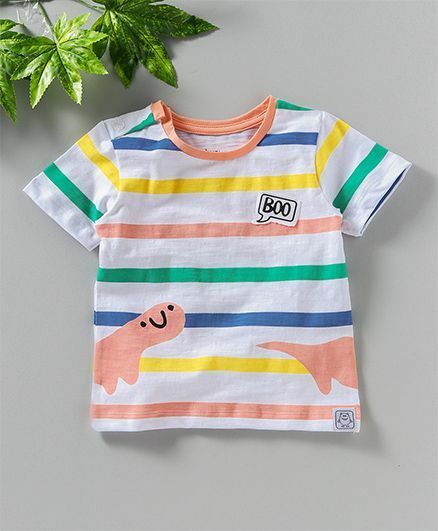 Brighten up your little one's wardrobe with this stylish Half sleeves Tee designed by Babyoye. Featuring stripes print, this Tee for boys comes with round neck line, pull over style and shoulder snap button closure. Goes amazingly with shoes and shorts. Styling Tip: Pair it up with shorts and shoes for a perfect look.